so you can pick the way YOU like to view homes! Why waste your time or privacy? Contact us for information on any home on any site! PRO Browse status specific active or sold homes, search by school rating, setup email alerts for New Listings with map pins of things of interest, Open Houses and/or Neighborhood Quarterly Market Report for sold prices. automatically places similar listings. Realtor Alicia Duffy will be the only one with your email! CON No text of listings. Basic criteria for searches. Click below any example picture to go to that page. The MLS of North Texas is where all other search sites will feed from. PRO No lag time on new listings, receive as soon as Realtor enters a new listing. Share with family, take notes to each other and to Realtor, mark favorites and dump rest, easily schedule showings and talk to your agent since the MLS is the main hub all realtors use to enter and change statuses of listings. Can setup your search by how many minutes to/from a location at a certain time of day. Will only see Active listings unless you request to vew off market or sold listings. CON Will only email you alerts. Critieria for search is very basic other than drive times when consumer is setting up although your realtor to set your criteria to any information the sellers agent would input when listing the home. To checkout the Nest click link below or Text TeamDuffy to 800.701.6509 for an immediate text back of listings near you and link to full site. This is NOT an app but it will send text you the homes and allow for you to search with your phone on the website. 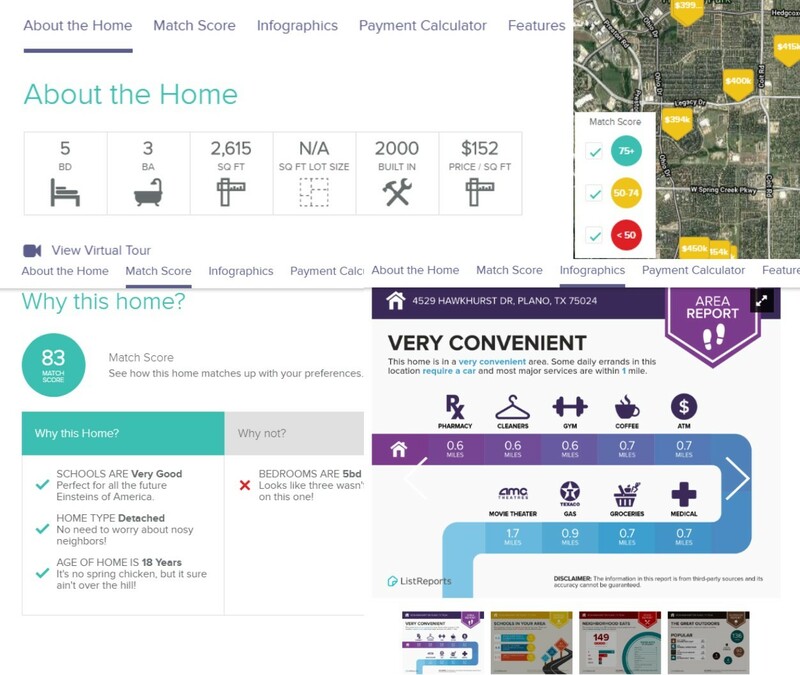 PRO Quick glances by text of new listings with great infographics for quick area information like walk scores, school ratings etc. with no ads! Will show a match to your main critieria scores. I like this because sometimes you put in I only want homes between 2000-2500 so when a perfect home comes on market that fits everything but it's 2501 sqft you wouldn't see it on any other search engines but with the Nest you'll still get it but the match score will be lower. Set price range based on monthly payments. This search site is really good for buyers who are a little unsure of what they might want and would rather the site pick for you based on questions you answer, lifestyle, monthly payments etc. CON The site is slow to update statuses. PRO Take us with you. We've used multiple mobile apps and actually have another one on this site but our favorite by far is the Millions Mapped it's quick, not buggy crashing your phone and if you see something you like in one click you can send to us and go see it. Site will email you link then setup text or email alerts of new listings. PRO Scrolling number will show you how many homes fit the criteria as you change it so you can see how the choices you make will change how many homes come up. CON Main reason I don't like this search is that it shows active option (recently received contract).. PRO This site like Realtor.com gives you tons of good information about the community. Zillow videos can only be seen on their site if the agent chose to do one. CON Not the most up to date on the status of the home especially confusing because they mix homes that are not even listed like the Make Me Move which is just a curious homeowner. Not all realtors choose to list on zillow so you are not seeing everything on the market. Some data is inaccurate, you can read a more indepth blog about it here. 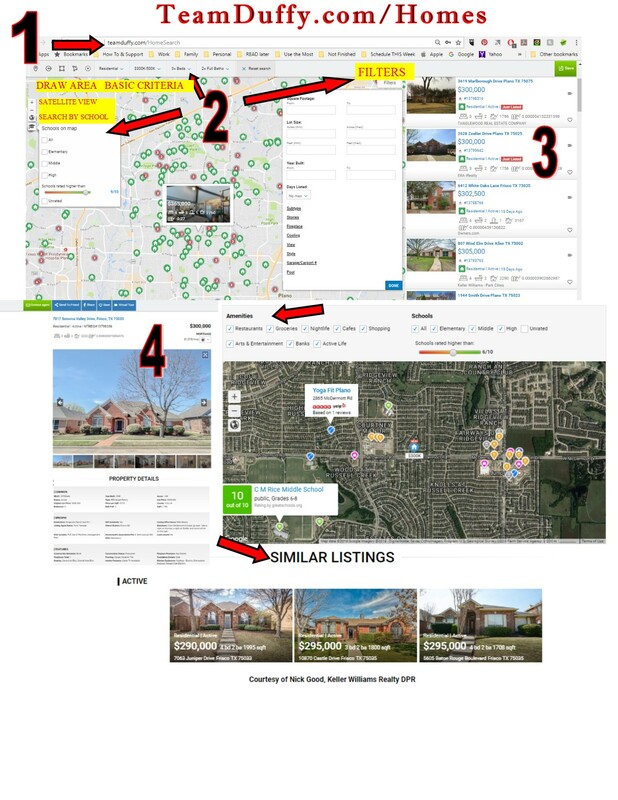 When you request information from these sites you are contacting a Realtor that advertises with them not the sellers agent (which you don't want to anyway see below article from Zillow). If you were getting divorced would you hire your ex's attorney. Information is also sold to third parties so I'd suggest search all you want but when registering do so with a local agent. See below to contact Alicia for information on any home you find on the internet. Home listings Each listing provides ample details on the property, including neighborhood info and local school ratings. The site excludes for-sale-by-owner (FSBO) listings. Neighborhood info It’s easy to find nearby listings, and an on-map Google Street View option provides a quick, real-life look at a neighborhood. Pages can be a bit slow to load, mostly because of non-real-estate-related ads — something you don’t often see on competitor sites. Other resources “Celebrity Real Estate” lists homes for sale by the rich and/or famous. There’s also a “Unique Homes” section. You might forget that you came to the site looking to buy a home. Finding an agent The “Find Realtors” search returns only real estate agents who are members of the National Association of Realtors. Realtors pledge to abide by NAR’s ethical standards. About half of U.S. real estate agents belong to NAR, so a Realtor search is likely to exclude a portion of the agents working in your area. Let the Realtor set it all up for you!